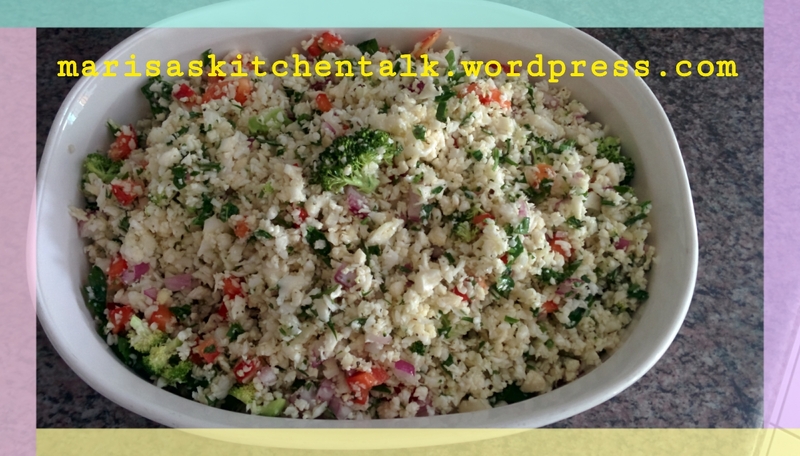 Traditional tabbouleh is one of my favorite salads, but by replacing bulgar wheat with quinoa it provides more protein, amino acids and is an excellent source of iron and is also low carb and gluten-free. Quinoa is one of my absolute favorite grains, it has a toasted nutty flavor and slightly chewy texture that makes it great on its own or in a salad. Rinse quinoa under cold running water. In saucepan, bring 1-1/2 cups water to boil; add quinoa and return to boil. Reduce heat, cover and simmer until no liquid remains, 15 minutes. Remove from heat; fluff with fork. Transfer to bowl; let cool. 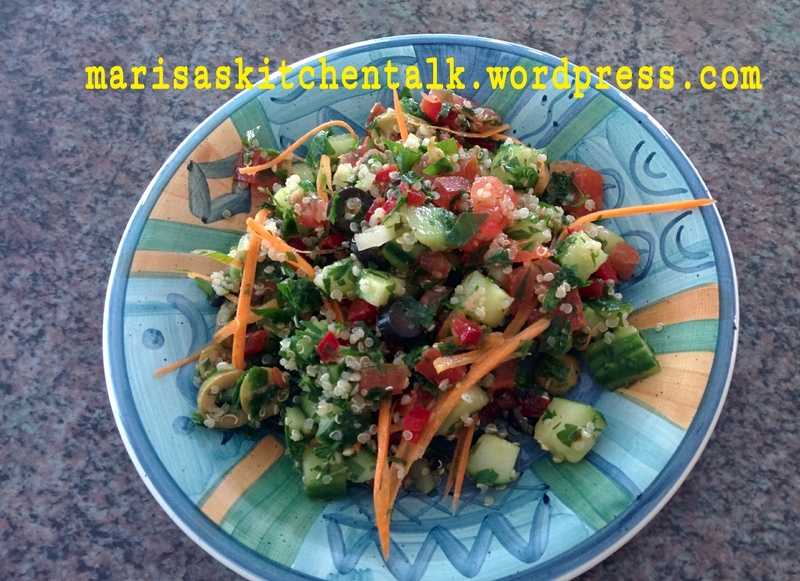 Add parsley, cucumber, green onions, mint and tomato. Dressing: Whisk together lemon juice, oil, salt and pepper; pour over quinoa mixture and toss to coat. Serve at room temperature or cover and refrigerate for 1 hour. This salad is even better the next day, once the flavors have had a chance to mingle. Feel free to top it with feta cheese! Place the raw cauliflower florets into your food processor with the S blade and pulse a few times until the consistency of couscous or rice. Transfer this mixture to a large mixing bowl and combine well with the other ingredients. Tweak flavors to taste – add pepper, and you may like more salt, lemon juice, olive oil or mint. I’ve seen many mason jar salads and I thought I’d give it a try. Well I have to say it was a huge success, even my husband took it to work. It’s just as convenient as a crockpot, you know when it’s time to eat that you have a nice meal waiting for you. Food prep is about making your life easier. Sure it takes a little effort and time upfront but it is worth it. It is so rewarding to open up the refrigerator door and see healthy delicious meals ready to eat. All week I didn’t have to wonder what to make for lunch since it was already waiting for me. 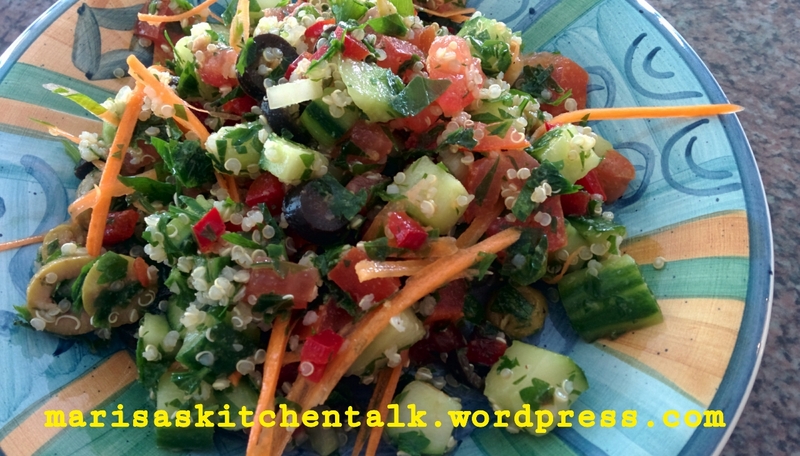 For the salad I chose to go with a variety of pickled veggies, but a high carb option is to add pasta, couscous, quinoa or rice etc. The options are endless when in comes to preparing food ahead of time so there really is no right or wrong way to do it. Basically, it comes down to just making time and getting it done. I used chickpeas as my protein since that’s what I had but you can use hard boiled eggs, tuna, grilled chicken etc. Here’s the ingredients for the jars below but I plan on changing a few ingredients for this weeks batch. Start with dressing at the bottom of the jar and then the more sturdy ingredients go in first and work your way up to the more delicate veggies, such as lettuce. I used 1 litre mason jars. 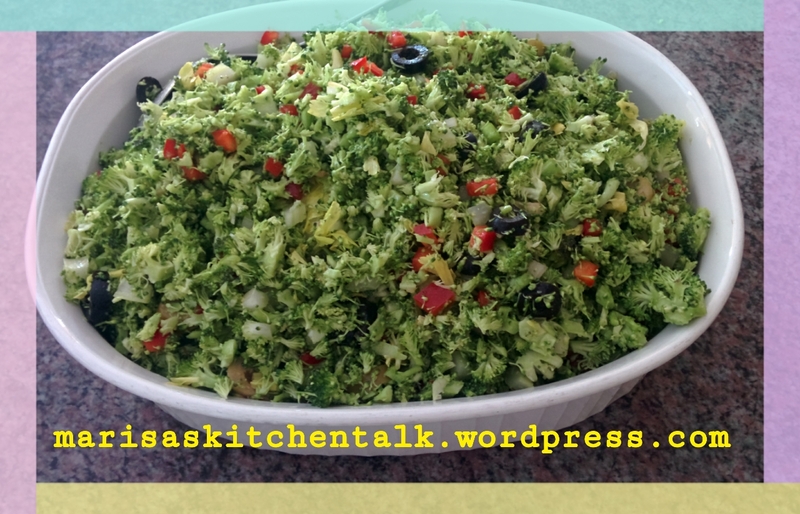 This salad is my all time favorite, it’s an unusual green salad that has a bite to it but it’s delicious, this is a raw dandelion salad with a dijon vinaigrette. I like to mix it ahead of time so that the greens become a little softer and marinated with the flavors of the vinaigrette. In a small bowl, prepare the vinaigrette by whisking together the green onions, mustard, vinegar. Slowly whisk in the olive oil blend until combined.Season to your taste with salt and pepper. In a salad bowl, toss the dandelion greens with the vinagrette. Top with grated Parmesan and anchovy. This salad can have various substitutions, serve with crispy bits of warm bacon or try substituting Roquefort cheese for the Parmesan, or adding toasted pine nuts or walnuts. The possibilities are endless. Combine vinegar and jam in blender or small bowl. Add Splenda and mix well. Add oil in thin stream, blending well. Toss spinach with 1/2 of the nuts, 1/2 of the raspberries, and the dressing. Top with the remaining ingredients. Net Carbs: 5 grams per serving. Whisk together the orange juice, lemon juice and olive oil in a large bowl. Add the apple and fennel and toss until well mixed. Baccalà is Italian for salted cod. Most baccalà dishes require that the fish be soaked in water over night and changing water numerous times to remove excess saltiness. Boil Baccala for 10 -15 minutes, until it is soft and flakes when pulled apart. Drain boiled Baccala in a colander. For the dressing: In a large bowl, add celery, olives, garlic, olive oil, lemon juice, parsley and pepper. 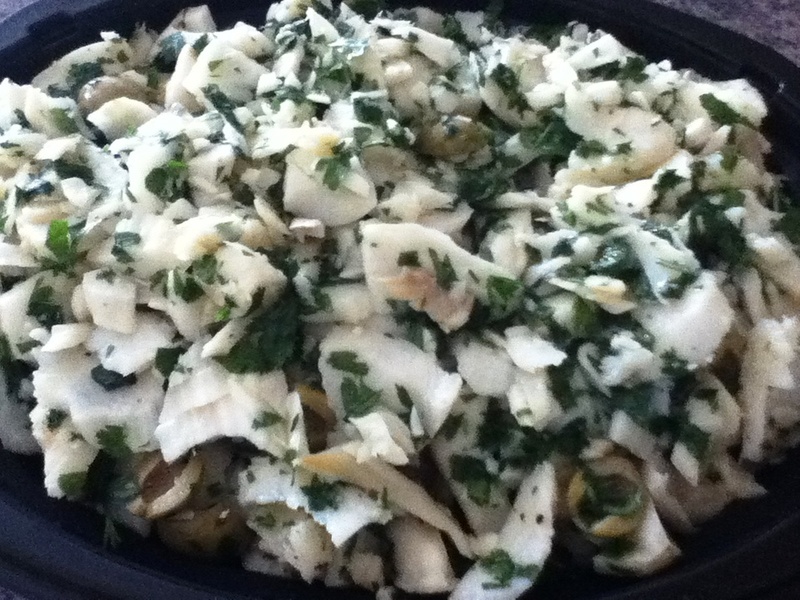 Gently break Baccala apart by hand and add to the dressing mixture. Chill for 1 hour and serve. Keep a food journal for this 30 Day Challenge.